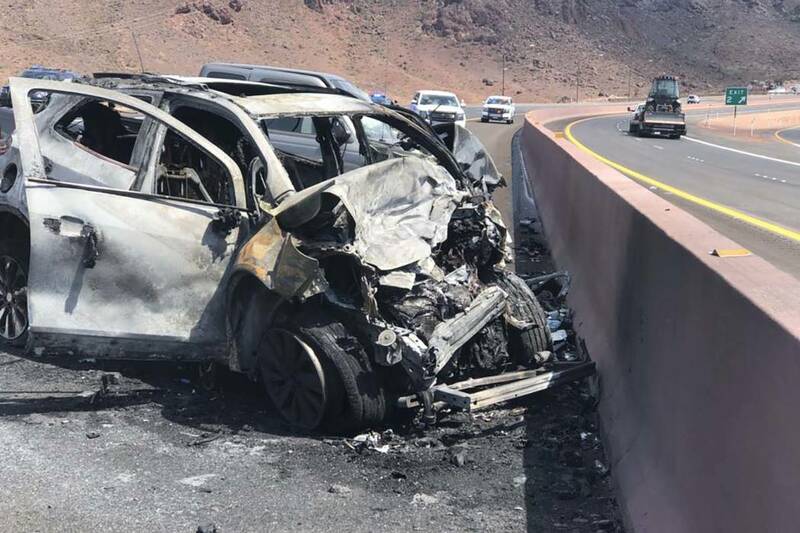 Despite numerous accidents since opening in August, Interstate 11 has seen fewer fatalities than more established freeways in the area but is being monitored to see whether new safety measures need to be put into place, according to transportation officials. Celia Shortt Goodyear/Boulder City Review The roundabout at Interstate 11 and U.S. Highway 93 near the Hoover Dam is still under construction. Once completed, it will be easier for drivers to traverse from the interstate to the highway. File Two people were killed in a crash on Interstate 11 close to the junction with U.S. Highway 93 on Aug. 14, just days after the stretch opened. The 15-mile stretch of I-11 runs from Henderson to Hoover Dam and goes around Boulder City. Two fatal accidents have been reported since it opened last month. The suspected causes include speed, driver impairment and driver error. “Although motorist fatalities along I-11 have captured the public spotlight due to its newness, there were quadruple as many fatal crashes during the past month along established Las Vegas Valley freeways like the 215 Beltway, U.S. Highway 95 and Interstate 15, which are heavily traveled, well-signed and clearly lit,” said Tony Illia, public information officer for the Nevada Department of Transportation. 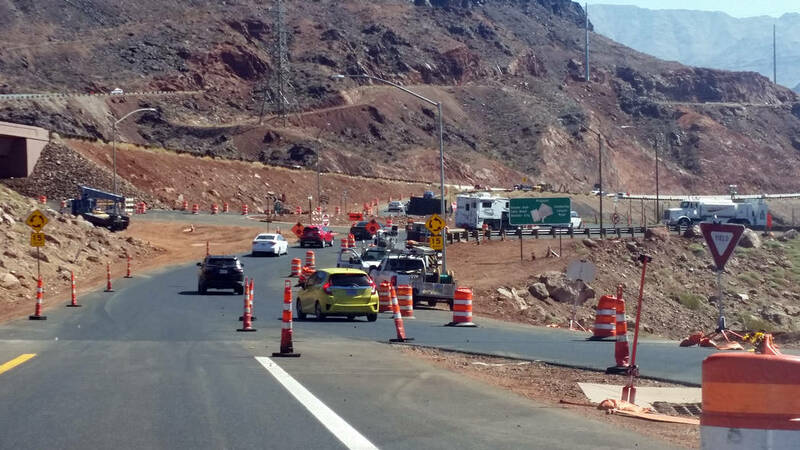 Mayor Rod Woodbury said the city, the Regional Transportation Commission of Southern Nevada and NDOT are monitoring and addressing the safety of I-11. Illia said NDOT is working with Boulder City and the RTC to develop signs that clearly show the way to Lake Mead and Hoover Dam as well as Kingman, Arizona, and Railroad Pass Casino. Another safety concern is digital GPS programs that have yet to recognize I-11 as being open. “(T)hose services evidently take time to adjust, even with NDOT and RTC reaching out to them,” Illia said. “In any case, I’ve been assured that the Waze driving app is now up to speed, so that’s a positive step in the right direction. Woodbury also encouraged drivers to do their part to avoid “no-brainers like distracted and intoxicated driving” and said the city will continue be vigilant in doing its part, which includes regular patrols on I-11 by Boulder City Police to assist the Nevada Highway Patrol in keeping it safe. NDOT and the RTC worked jointly on the road, which cost $318 million. It was paid for through federal and state funds with Clark County’s fuel revenue indexing tax.